· The Eagle Huntress: a documentary too good to be true? PERTH, February 6 (miningweekly.com) – Coal hopeful Aspire Mining has been given an 18-month extension to complete the conditions precedent for its Erdenet to Ovoot rail concession, in Mongolia. The conditions precedent included the completion of feasibility studies, environmental studies and permits, land use agreements, commercial agreements and funding. The Erdenet to Ovoot railway is a critical component of the development of the Ovoot coking coal project, which hosts 255-million tonnes of coal reserves and can sustain production of ten-million tonnes a year over 21 years. Aspire in January reported that initial feasibility studies into the Erdenet to Ovoot railway found that the project will require a capital investment of $1.25-billion for a 20-million-tonne-a-year single line servicing the proposed Ovoot coking coal project. The feasibility study included two locomotive service centres and depots, as well as 11 bypass loops for the single-line track to be able to provide network capacity of 20-million tonnes a year. There is also a total length of 10 km of tunnels across seven separate tunnel areas. The entire rail line is expected to take about 60 months to build; however, Aspire noted that there was an opportunity to truck coal from Ovoot to a loading point prior to the full completion and commissioning of the rail line, subject to pricing and cost. Aspire had until August 2018 to complete all conditions precedent for the railway development. February 5 (Daily Capital) Zurcher Kantonalbank Zurich Cantonalbank boosted its stake in shares of Turquoise Hill Resources Ltd. (NYSE:TRQ) (TSE:TRQ) by 19.9% during the third quarter, according to its most recent Form 13F filing with the Securities and Exchange Commission. The institutional investor owned 364,448 shares of the company's stock after buying an additional 60,398 shares during the period. Zurcher Kantonalbank Zurich Cantonalbank's holdings in Turquoise Hill Resources were worth $1,076,000 as of its most recent filing with the SEC. Other institutional investors have also recently added to or reduced their stakes in the company. Jane Street Group LLC increased its position in Turquoise Hill Resources by 2.2% in the second quarter. Jane Street Group LLC now owns 35,630 shares of the company's stock valued at $120,000 after buying an additional 774 shares in the last quarter. AQR Capital Management LLC increased its position in Turquoise Hill Resources by 118.2% in the second quarter. AQR Capital Management LLC now owns 2,094,396 shares of the company's stock valued at $7,048,000 after buying an additional 1,134,641 shares in the last quarter. A.R.T. Advisors LLC increased its position in Turquoise Hill Resources by 15.0% in the second quarter. A.R.T. Advisors LLC now owns 97,032 shares of the company's stock valued at $327,000 after buying an additional 12,645 shares in the last quarter. Key Group Holdings Cayman LTD. purchased a new position in Turquoise Hill Resources during the second quarter valued at $13,717,000. Finally, Mackenzie Financial Corp purchased a new position in Turquoise Hill Resources during the second quarter valued at $127,000. 30.57% of the stock is owned by institutional investors. February 3 (Financial Post) Hopes and dreams — backed by some encouraging signs from its exploration activities in Mongolia — are alive and well at Halifax-based Erdene Resource Development Corp. This week Erdene moved to centre stage with a bought deal financing – its first. Originally it announced a $10 million financing but demand was so strong that the underwriters — Paradigm Capital and Canaccord Genuity — upped it by 20 per cent. The underwriters have a 15 per cent over-allotment option. Who would have thunk it given that a few months back, the company that, according to Bloomberg is followed by one analyst, Don Maclean of Paradigm, received $1.08 million from the exercise of warrants. Once that cash was received Erdene – which, as Erdene Gold went public in the spring of 2014 at $0.85 a share – had $2.1 million in cash. In that IPO, Erdene raised $10.625 million with the proceeds being use to "fund further exploration in Mongolia." In its 12 plus years as a public company, Erdene has had some challenges: the shares have had two major ups (in 2007 and in 2011) and lots of lows with the stock trading below $0.50 for much of the past five years. Since going public the average stock price is $0.5517. "From 2011 (when we discovered the first gold project in Mongolia) to 2015 it was a battle, a lot of hard work," said Peter Akerley, Erdene's chief executive. "We spoke to many investors, many of them in Asia during that period to keep moving things along," added Akerley noting that it sought capital from far and wide. "You can't be in the junior mining business and lose the faith. You have to be the eternal optimist." For instance, it arranged financings with Teck Resources (that raised a total of $2 million); with Sandstorm Gold (the $2.5 million raised funded its 2016 exploration projects); with a group of Mongolian investors (that raised $1 million) plus a series of private placements. "You survive in this business through different means but you can get there if you have the objective of you," noted Akerley. "It's a testament to patience." Now thanks to some recent good news — in late November when reporting on the fourth batch of its drill results it said they "further support our belief that Bayan Khundii represents one of the most prospective new high-grade, near-surface gold discoveries in the industry today" — Erdene is seemingly in a different situation. "All the hard work is paying off," added Akerley, when noting the commodity and financing cycle changed, at least for the major companies, about 18 months back. "Then it filters down," he added. Indeed the latest results support Erdene's decision to persist with its exploration activities in Mongolia, a decision it recommitted to in mid-2012 when it spun off its North American-focused entity. The reason: Mongolia was felt to be more attractive and offering better opportunities because of the underlying geology. "As a group we looked at a new belt of rocks that is probably the second most prospective of gold deposits in the world with the portion running through Mongolia virtually untouched," said Akerley, who first visited the country 20 years back. "Where else would you hang your hat if you wanted to really to find what's fun and exciting in this business, which is a big and near surface discovery." So what's the game plan? Akerley said Erdene will continue to "go down a path, do good technical work to move towards development. If the project is good enough you're certain to have M&A activity." 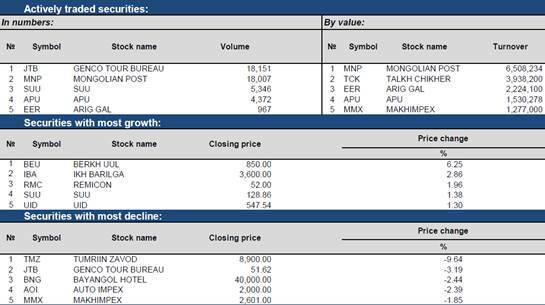 February 6 (MSE) Mongolian Stock Exchange organized 5 securities trading sessions and made transaction of MNT3.0 billion with daily average transaction of MNT15,045,955,038.00 in period between 30 January 2017 and 03 February 2017. 24,552,146.00 shares of 46 joint stock companies worth of MNT1,455,170,538.00 were traded. 152,790 Government retail bonds worth of MNT 13,499,100,000.00 traded through one trading session. As of 03 February 2017, market capitalization was MNT1,433,764,924,684.00 which indicated decreased of 1.24% and MSE ALL index reached 831.29 units which indicated decreased of 1.66% from the previous week. Ulaanbaatar, Mongolia – 18 January 2017 - HBOil JSC (MSE:HBO - Bloomberg Code: HBO MO), a specialty oil recycling and an emerging E&P company, hereby announces its withdrawal from its joint venture in the Democratic People's Republic of Korea ("DPRK" or "North Korea"). On 12 January 2017, HBOil was notified that the Office of Foreign Assets Control ("OFAC") of the Department of the Treasury of the United States of America ("USA") has designated Korea Oil Exploration Corporation ("KOEC") of the DPRK, as a sanctioned entity under the DPRK3 sanctions program of the USA. The inclusion of KOEC in the Specially Designated Nationals and Blocked Persons List ("SDN List") of OFAC, leaves HBOil with no other choice, but to terminate its joint venture relationship with KOEC and its subsidiaries; effective immediately. HBOil had temporarily suspended its activities in the DPRK beginning in June 2016, which suspension will now be elevated to a permanent cease and desist of all relationships, direct or indirect, with KOEC. Notwithstanding the above notice of withdrawal, HBOil wishes to extend its sincere gratitude to the staff members of KOEC, with whom HBOil has enjoyed an amicable and professional interaction that was fostered on the basis of mutual trust and respect. HBOil will be reviewing its strategic options in relation to the expansion of its existing waste oil recycling operation in Mongolia, the potential opportunity to diversify laterally by converting other waste material into gas oil or diesel fuel, and possibly to pursue its long held ambition of entering into the downstream petroleum refining industry. HBOil shall inform the market, at the time of its Annual General Meeting to be held in late April 2017, in respect of its future business plans. February 6 (GoGo Mongolia) Sine Jan 2016, taxpayers are enabled to refund two percent of their total purchase annually (at the end of the year) as well as able to win a prize from lottery. However, this year, the lottery fund is reduced to MNT 100 million and it will be conducted once a month. In regards, residents should register their payment receipts at ebarimt.mn or through mobile app named "ebarimt". The first lottery of 2017 is scheduled to be held this month. In 2016, total of 19 lottery was conducted and 86 thousand residents were granted MNT 3.6 billion. LONDON, Feb 6 (Reuters) - Copper rose on Monday as investors' focus returned to supply risks in Chile and Indonesia, though gains were capped by last week's surprise economic policy tightening in top consumer China. The Chinese central bank caught financial markets off guard on Friday by raising short-term interest rates on the first day back from a long holiday in a further sign of policy tightening as the economy shows signs of steadying. On the supply side, workers at BHP Billiton's Escondida copper mine in Chile, the world's biggest, prepared to re-enter dialogue with the company on Friday after BHP asked for government mediation to try to avoid a strike. Meanwhile, the world's biggest publicly listed copper miner Freeport-McMoRan Inc said it would cut staff, spending and production in Indonesia if it did not get a new export permit by mid-February. "Chile and Indonesia (risks) might be priced in for now, but ... if there ends up being a strike, that's going to create further tightness in copper," said Investec mining analyst Hunter Hillcoat. "We think copper will sustain gains last year into 2017. It's basically a supply story." Three-month copper on the London Metal Exchange ended up 1.3 percent at $5,847 a tonne. The metal lost 1.9 percent on Friday in its biggest daily fall since Dec. 19 on worries over Chinese policy tightening. Concerns about kinks in mine supply have helped to turn speculators positive towards copper. Hedge funds and money managers increased their net long position in COMEX copper contracts to a record high level in the week to Jan. 31, U.S. regulatory data showed. "The fundamental picture (in copper) is one of rapidly decelerating mine supply. In 2017 we see the potential for copper to outperform bulks as it did in 2014, when supply also slowed sharply," Credit Suisse said. Latest global economic readings were upbeat. China's January business survey showed activity expanding at a healthy clip while German new industrial orders surged 5.2 percent in December - their biggest December gain in eight years. Markets are, however, caught between strong economic data and political uncertainty associated with U.S. President Donald Trump's administration. Nickel ended up 2.2 percent at $10,450 a tonne. Philippine Environment and Natural Resources Secretary Regina Lopez said on Monday that she will not reconsider her decision to shut down 23 of the country's 41 mines, adding that the Southeast Asian nation is "unfit for mining". Zinc, used to galvanise steel, closed 0.1 percent down at $2,792, hurt by the rise in China's interest rates that spurred a sell-off in ferrous metals. Lead ended up 1 percent at $2,348, tin was down 2.8 percent at $19,220, having earlier hit its lowest since last September at $19,100, while aluminium finished 0.1 percent down at $1,834. February 3 (MINING.com) On Friday, Chinese traders returned to financial markets after the lunar new year break welcomed by a surprise interest rate announcement from the People's Bank. It's the latest sign that Beijing's stimulus efforts are coming to a close and that stoking economic growth is no longer the number one priority. Friday's Caixin manufacturing PMI reading was also a disappointment showing Chinese manufacturing activity are losing some momentum at the start of 2017. The reading came in at 51.0 in January, down from the near four-year high of 51.9 that it hit in December and below expectations. Nevertheless after 12 weeks of non-stop declines traders on Friday finally pushed the price of coking higher, albeit only by a few cents. The steelmaking raw material broke its fall at $167.80 on Friday, still $140 below its multi-year high of $308.80 per tonne (Australia free-on-board premium hard coking coal tracked by the Steel Index) hit in November. While the rally and subsequent pullback has created uncertainty in the market, supply is beginning to respond to higher prices. Earlier this week International Coal ventures (ICVL), a consortium of five state-run coal mining operations, announced plans to restart operations at the Benga mine in Mozambique according to a report in the Financial Express. ICVL acquired control of Benga mine and two green-field coal assets (Tete East and Zambezi) in 2014 from Rio Tinto. The assets have an estimated coal resource of 2.6 billion tonnes and in its current form Benga can produce 5.3 million tonnes per year. Mining was suspended in May when met coal was trading below $100 a tonne. Rio Tinto acquired the Benga mine and other coal projects in the Southern African country's Tete province in 2011, after buying Australia's Riversdale Mining for $3.7 billion. But in 2013 the Anglo-Australian giant took an asset impairment charge of $3 billion on the coking coal venture citing challenges in building the necessary infrastructure to bring the project on stream. A year later Melbourne-based Rio sold the assets to an Indian company for just $50 million. Mozambique's central Tete province is believed to hold one of the world's largest untapped coal reserves that has been compared with Australia's coal-rich Bowen Basin. The US is also expected to increase its coking coal production in 2017 and that around 9 million tonne of US met coal will be added to the export market. Companies such as Warrior Met Coal, Rosebud Mining and Ramaco already plan to start operations in the new year. Despite the pullback metallurgical coal had more than doubled from multi-year lows reached in February last year. Coking coal averaged $143 a tonne in 2016 (about the same as it did in 2013). Consensus forecast is for the price to average about the same in 2017. Feb 6 (Reuters) China steel and iron ore futures retreated further on Monday despite positive signs of growth in the country's services and manufacturing sectors, with investors digesting last week's unexpected rise in short-term interest rates. While the hikes by the central bank were modest, they reinforced views that Beijing is intent on containing capital outflows and reining in risks to the financial system created by years of debt-fuelled stimulus. "Adding to the negativity around Beijing's response to the financial markets, steel inventories rose between the start and end of the Lunar New Year and there are high inventories of iron ore at the ports, so investors are reluctant to keep buying," a trader in Shanghai said on condition of anonymity. The most active rebar on the Shanghai Futures Exchange closed the morning session 2.55-percent lower at 3,093 yuan ($451). On Friday, the contract lost 6.8 percent. Iron ore on the Dalian Commodity Exchange dropped 3 percent to 607.5 yuan, after losing 5.4 percent on Friday. The trader added that although markets reopened on Friday from the week-long Lunar New Year holiday, most investors were only just "getting their feet back in the markets". Countering negative sentiment around the hikes, growth in China's services sector remained strong in January and prompted companies to hire staff at the fastest pace in 20 months. The strong reading mirrored improvements in manufacturing surveys last week, giving China's policymakers more room to focus on containing the financial risks from a sharp rise in debt. Elsewhere, shipping interruptions caused by stormy weather cut iron ore shipments to China from Australia's Port Hedland terminal in January by 7.8 percent from a month ago. Feb 6 Gold climbed on Monday to its highest in nearly three months as worries about the political landscape in the United States and Europe and a subdued dollar reinforced investor interest. Spot gold was up 0.6 percent at $1,226.91 an ounce at 1441 GMT, having earlier touched $1,230.14 -- a level last reached on Nov. 17. U.S. gold futures rose 0.7 percent to $1,228.90 an ounce. Political uncertainty in the United States has been fueled by President Donald Trump's policies, the most controversial of which is a temporary ban on immigrants from seven mostly Muslim countries. A U.S. judge put a nationwide block on Trump's order on Friday. Elections in the Netherlands, France and Germany this year are also adding to jitters. "The initial euphoria of the Trump presidency seems to be fading and the elections in Europe are making people nervous. The uncertainty does mean upside for prices," said Warren Patterson, commodities strategist at ING. "Since the start of the year we've seen the dollar consistently weaker, but physical demand from (top consumers) China and India is still weak and a negative for gold." China's net gold imports in December, at 51.51 tonnes, were down 60 percent from December 2015. Meanwhile, gold demand in India fell 21.2 percent in 2016 from the previous year to 675.5 tonnes as new rules such as those forcing customers to disclose their tax codes for purchases above 200,000 rupees ($2,967) dampened demand. The dollar's value against a basket of currencies has fallen nearly 4 percent since Jan. 3. That is partly because of expectations that the U.S. central bank will wait to see what happens on the political and economic fronts after Friday's monthly jobs report showed wages barely rose. "Gold's solid showing so far this year ... is mostly attributable to a weaker dollar and last week's standoffish Federal Reserve statement with regard to when it would next move on rates," INTL FCStone analyst Edward Meir said in a note. "Geopolitical concerns will now be magnified by the Trump administration's more aggressive tone in the foreign policy arena and trade will also remain a key flash point." Investor interest in gold can be seen in data from the U.S. Commodity Futures Trading Commission (CFTC), showing speculators raised their net long positions in COMEX gold to the highest in eight weeks in the week to Jan. 31. Technically, gold needs to close above the 100-day moving average at about $1,220 to gain upward momentum. However, traders say that strong resistance at $1,229, a Fibonacci retracement level, could take several attempts. Spot silver rose 0.7 percent to $17.58 an ounce while platinum gained 0.1 percent at $1,004.4 and palladium added 3.1 percent to $769.09. February 6 (Bloomberg) Oil dropped as the dollar climbed and as the revival of U.S. shale drilling boosted the country's production outlook. Futures fell as much as 1.2 percent in New York. The dollar rose 0.3 percent against leading currencies, making commodities priced in the greenback less appealing to investors. U.S. drillers boosted the rig count by 17 to 583, the most since October 2015, according to Baker Hughes Inc. Prices climbed last week as U.S. President Donald Trump's administration imposed new sanctions on Iran and warned the Islamic Republic that it was "playing with fire" by testing missiles. Crude prices have fluctuated above $50 since the Organization of Petroleum Exporting Countries and 11 other nations agreed to start curbing output by 1.8 million barrels a day. While OPEC members have implemented most of their cuts and Russia says its own reductions are ahead of schedule, U.S. production has edged higher as drillers add rigs. Rising tensions with Iran aren't yet seen threatening a nuclear deal that lifted sanctions on the country's oil exports. "Given the valuation of the dollar and the high inventory level its hard to justify these prices," Bill O'Grady, chief market strategist at Confluence Investment Management in St. Louis, which oversees $6.1 billion, said by telephone. "We've built a lot of good news into the oil price, which makes it vulnerable. West Texas Intermediate for March delivery slipped 48 cents, or 0.9 percent, to $53.35 a barrel at 10:57 a.m. on the New York Mercantile Exchange. Total volume traded was about 38 percent below the 100-day average. Brent for April settlement fell 65 cents, or 1.1 percent, to $56.16 a barrel on the London-based ICE Futures Europe exchange. The global benchmark crude traded at a $2.16 premium to April WTI. Iran carried out further missile tests during an annual military exercise on Saturday, a day after Trump imposed fresh sanctions on a raft of individuals and companies in response to the country test-firing a ballistic rocket. While the missile tests didn't contravene the nuclear accord signed in 2015, they are seen by some as going against a United Nations Security Council resolution that enshrines the agreement. Saudi Arabian Oil Co. picked four banks to advise on its first bond sale, two people familiar with the matter said, ahead of plans for the world's largest initial public offering. OPEC is scheduled to release its monthly report Feb. 13, which will include January figures, the first month of supply cuts. Oil demand will be an estimated 400,000 barrels a day greater than supply this year, Bjarne Schieldrop, chief commodities analyst at SEB, said in an e-mailed note. As investors are on tenterhooks over U.S. policies and whether OPEC and other nations will curb output as pledged, Brent crude may oscillate between $52 and $62 a barrel, according to Kho Hui Meng, head of the Asian arm of Vitol Group. Iraq's exports decreased by 187,000 barrels a day to 3.323 million barrels a day in January from the previous month, according to a person familiar with the matter, who asked not to be identified because the data isn't public. Ulaanbaatar, February 6 (MONTSAME) US based NGO Freedom House revealed 'Freedom in the World 2017', an annual report on global political rights and civil liberties, and Mongolia received 85 scores to be rated a Free country. With aggregate score 85, Mongolia ranks after Japan (96) and Taiwan (91) in Asia. However, it is notable that Mongolia's Freedom of the Press 2016 status is Partly Free. The report finds 2016 to mark the 11th consecutive year of decline in global freedom, wrote Freedom House. Ulaanbaatar, February 6 /MONTSAME/ A working group, composed of representatives from the Department of Mineral Resources and Oil, Authority for Fair Competition and Consumer Protection and relevant agencies is studying to make conclusions on factors of oil retail price growth and define if the price increase was well grounded. Oil price has grown up dramatically on the world market due to a decision on reduction of oil production. Brent oil price has grown up to USD 56.92 barrel on February 06, 2017 while it was USD 46.38 barrel on November 29, 2016. Accordingly, all types of imported oil price in Mongolia increased by USD 41-60 per ton in January compared to December 2016 and has influenced to retail price. Considering the situation, the Government made decision to reduce excise tax on January 25, 2017 to keep the retail price stable. However, import oil price as of February has grown up by USD 22-26 per ton in each type, compared to a price of January and oil trading companies have raised their price up to MNT150 per liter nationwide depending on area and oil type, starting January 26. Ulaanbaatar, February 6 (MONTSAME) The Ministry of Justice and Internal Affairs Council on Preventing Crimes and the Communications Regulatory Commission are set to cooperate in combat against cyber crimes and kidnapping. The two sides have planned to set-up a permanent tripartite working group with police department representation to be in charge of assessing and investigating the felonious acts in online environments, such as news stories and advertisements calling for illegal actions. The Ministry Council and the Communications Regulatory Commission have agreed to improve involvement of information and media organizations in prevention of cyber crimes and co-organize joint events and training. February 6 (news.mn) Mongolian police dog Molly has received a medal for sniffing out a large number of crimes; its handler O.Tumenjargal was awarded a cash payment. Molly has been working at the Khentii Province Police Department in eastern province Mongolia since July, 2016. The Mongolian Police Dog Training Centre currently has over 60 dogs of different breeds, including German Shepherds, Belgian Malinois, Golden Retrievers and Labradors. The future police dogs have come from the United Kingdom, Belgium, Germany and the Russian Federation. Ulaanbaatar, February 6 (MONTSAME) According to the Ministry of Energy, World Bank plans to implement project in energy sector of Mongolia with USD 55.4 million. The project is aiming to distribute constant reliable electricity service of higher quality in the rural area to meet the increasing demand of electricity. The preparatory work is being made to support sustainable energy by reducing system losses and improving economic efficiency of power supply companies, such as "Baganuur-Southeastern Region Electricity Distribution Network" SOE, "National Power Transimission Grid" SOE and the "Western Energy System" SOE JSCs. Upgrading and expansion of "Baganuur-Southeastern Region Electricity Distribution Network" SOE. Upgrading and expansion of "Erdenet-Bulgan Electricity Distribution Network" SOE. Expansion of "National Power Transmission Grid" SOE's distribution facilities in Baganuur and Khangai. Establishment of 10 MW solar photovoltaic power plant for "Western Energy System" SOE. Ulaanbaatar, February 6 /MONTSAME/ In accordance with the power purchase agreement with Russia, Mongolia imports 1 kW power for MNT 33.548 from Russia, reported the Energy Minister P.Gankhuu during the Parliamentary plenary session. The total energy consumption of Mongolia was 6.9 billion kW/hour as of 2015, 21 percent of which is imported from China and Russia at a high price. Electricity tariff is legislated to be 15-18 cents from solar energy and 9.5 cents from wind power in Mongolia. Mongolia has made agreement with countries such as Chile and United Arab Emirates to buy 1 kW/hour solar energy-based electricity for less than 3 cents, which is equal to half the cost of energy production from coal. Currently, there are three renewable energy sources-based plants operational in the Mongolian energy system, including 'Salkhit' wind plant , 'Dorgon' and 'Taishir' hydropower plants. These plants produce approximately 210 million kW/hour electricity and supply to the energy network and their supply price should be lowered, say corresponding officials. Developer Asia Pacific Investment Partners is offering investors the opportunity to take part in Mongolia's economic growth, with price reductions on five of the remaining apartments in the Ulaanbaatar CBD development, Olympic Residence. February 6 (The Real Estate Conversation) There is more to Mongolia than vast steppes, portable ger homes, and galloping horses. Fuelled by the rapidly growing mining sector, the Mongolian economy is one of the fastest growing emerging market in the world. 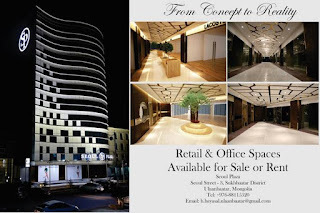 The number of wealthy Mongolians and expatriate residents is increasing rapidly, and, with it, demand for high-end residential and commercial property. Rio Tinto has committed to spending nearly $6 billion in Mongolia over the next five years, which alone is expected to drive rents and prices higher in Ulaanbaatar simply because the supply of suitable accommodation in the city is so limited, according to Mongolia's leading property developer, Asia Pacific Investment Partners. "We think Ulaanbaatar's property market today is just like Perth 20 years ago," Lee Cashell, CEO of APIP told SCHWARTZWILLIAMS. "Rio Tinto and other companies are bringing a lot of mining investment into Mongolia, and the fly-in fly-out workers this brings will quickly eat up available supply, just as we saw with the Western Australia market in the past." Cashel said high-quality housing for expat workers and their families is essential in Ulaanbaatar. "It gets down to -40C in the winter," he said, "so having a luxury building with a full suite of amenities is critical for mid-to-senior-level expat executives." In anticipation of the pick up in demand for high-end accommodation, APIP has developed Olympic Residence in the heart of Ulaanbaatar. The 16-storey, mixed-use building was 'Highly Commended' at the Asia Pacific Property Awards, and is located between the five-star Shangri-La Hotel and the embassy district, in an area predicted to become a shopping hub for the city's elite. The first four floors of the building will be dedicated to a retail podium, including cafes and restaurants, and leisure facilities. The remaining floors will consist of 92 luxury apartments, available in two to four bedrooms, and ranging in size from 90sqm to over 400sqm. Apartments will have views of the Bogd Khan Mountain Range and downtown Ulaanbaatar, and the top-floor penthouses will feature outdoor terraces. The building will have separate entrances for residential and retail spaces, a concierge service, an attended lobby, security, and two floors of underground parking. At the time of writing, over 85% of the apartments had been sold, with only a few remaining. APIP is offering discounts of up to 40% for buyers applying before 28 February 2017. Mortgages are available for foreigners through the developer, subject to approval. Returns are expected to be strong. Similar apartments in the Ulaanbaatar CBD are achieving approximately 10% gross yields at the moment. APIP's previous project in the area generated 24% rental yields and strong capital growth. 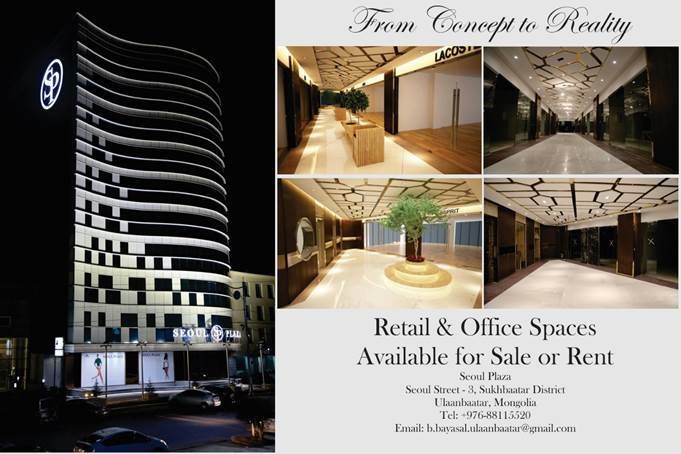 This is a turn-key investment opportunity, with the properties able to be fully managed by APIP. Construction of Olympic Residence commenced in 2010, but was halted in 2012 due to the economic downturn in Mongolia and the continuing fallout from the global financial crisis. Construction recommenced in 2013, and is due for completion this year (2017). January 31 (Bogd Bank) Bogd Bank has signed a correspondent banking agreement with VTB Bank, one of the leading commercial banks of Russia. VTB Bank was established in 1990 and currently operates a large network of over 1700 branches across the country. With this newly-established relationship, Bogd bank is able to provide our valued customers with fast, reliable and affordable cross-border payment services in Russian rubles. Bogd Bank offers fast and secure wire transfer services for individuals and businesses wishing to make USD, KRW, JPY, CNY, RUB payments internationally. For further information regarding international payment services, click here. Ulaanbaatar, February 6 (MONTSAME) Every year, Mongolian National Chamber of Commerce and Industry selects 10 best businesses of the year. This year's award ceremony was held last Friday, February 3, and Uguuj Chiher Boov LLC was presented with the Grand Prix award. The best 10 enterprises of Mongolia in 2016 are namely APU Trading LLC, Bishrelt Holding Co.Ltd, Thermal power distribution network, MCS Coca Cola LLC, Mobicom Corporation, Moncement Building Materials LLC, Nomin Holding LLC, Skytel Co.LLC, Suu JSC and TESO Corporation. Uguuj Chiver Boov CEO S.Tumengerel said, "We've served our customers for the last 81 years with stable growth. The National Chamber of Commerce and Industry has thus acknowledged our continued efforts by awarding the Grand Prix. We extend our gratitude to our customers who support our company by always choosing our products". In time for Lunar New Year, the company is gratifying its consumers with a big discount on the price of 'ul boov' (traditional pastry used for festive table and eaten). The 'ul boov' price is reduced from MNT 2850 from MNT 1850 per piece. The ceremony ended as the flags of newly entering companies were raised. February 6 (GoGo Mongolia) As of today at 9AM, (Feb 6th), hazardous level of air pollution hits two areas of Ulaanbaatar city. · 525 micrograms per cubic meter at an area nearby Tolgoit. According to the WHO air quality guidelines, air pollution is safe if amount of particles in air is not higher than 25 microns but it is dangerous if particles amount is higher than 301 microns. Levels of PM2.5 particulates, which are the most hazardous to health, in heavily polluted areas of Ulaanbaatar city exceeds 33 times above the recommended levels, as compared with the World Health Organization safe level of 25. February 6 (news.mn) In 2015, Ch.Saikhanbileg, former Prime Minister of Mongolia signed a memorandum of understanding with China to build a new power plant in the Baganuur district. Construction of the new power plant has now begun with the aid of the Government of China. As a part of the cooperation programme, Mongolia must be responsible for increasing the capacity of the Baganuur mine and modernising its equipment. Ulaanbaatar /MONTSAME/ Land owners-individuals and enterprises in the capital city will get their license extended for 15 years from now on. The Capital city Land Department used to extend land ownership license for 5 years and Mayor of the capital and Governor of Ulaanbaatar city S.Batbold issued an ordinance to make extension term of land ownership license 15 years. '- State administration organizations should serve citizens and enterprises without bureaucracy. On the other hand, land is valuable capital to attract investment. Economy is in difficult situation nationwide and in this time citizens' intentions to build private house or enterprises to construct their factory, plant or office should be encouraged. This decision is essential for these purposes. The capital administration has developed and is implementing a 'Complex measures for improvement of land management' program to make issuance of land licenses for use and ownership transparent and corruption free ' underlined mayor S.Batbold, announcing his ordinance during a press conference. "- Online land ownership issuance will continue after solving some issues. For example prior, some uninhabitable area, including on the top of hill or spring head, have been issued for land ownership based on satellite images. New settlement areas are planned to be in Nalaikh, Baganuur and Bagakhangai districts, having access to water and electric supplies and paved road. In other six districts, there is no more land available for ownership. In the future, Ulaanbaatar will have a land exchange" he said. In pursuance of the ordinance, citizen or enterprises whose license term expires will get 15 year extended license without any additional or special condition and criteria. However, officials warned that land ownership license holder citizens and enterprises, who have not paid taxes or have had no activity in the land would be imposed with legal responsibilities. Ulaanbaatar, February 6 (MONTSAME) Last Saturday, 'Silver Ulaanbaatar' winter festival was held in 'UB Resort' at 'Mongol naadam complex in Khui doloon khudag, involving over 8000 employees of 79 the capital's and districts' administration organizations. Mayor of the Capital and Governor of Ulaanbaatar city S.Batbold noted that Ulaanbaatar has a possibility to develop winter sports as the city is located in a cold zone of the country. 647 sport teams run its activities in the city organizations and during the festive, the best five teams among the city organizations and district organizations each were rewarded. Particapants of the festival competed in 'Snow city', 'Dance on snow' and 'Best team' contests. The Capital Police Department launched 'Healthy Policeman' program during the event. The program with aims to keep policemen healthy and physically developed, take measures in involving them in medical examinations, vaccinations, and physical and psychological trainings. February 5 (Global Times) As concerns mount about whether Mongolia can repay a $580 million bond due in March, experts said that the country can tap into its economic cooperation with China, its biggest trading partner, to help with its financial impasse and reverse its slow growth. Mongolian citizens are scratching up cash and donating money, jewelry and even horses to the government to help it keep going for long enough to get an international bailout, according to an article posted by the Foreign Policy magazine on February 3. A prominent Mongolian economist and members of parliament have been leading the donation drive, media reports said. The bond in question was issued by the Development Bank of Mongolia in March 2012, with a tenor of five years and a coupon of 5.75 percent. The bond will mature on March 21. Foreign Policy said that the Mongolian government is negotiating a bailout with China and the IMF amid a severe economic crisis in the country, which has dragged down GDP from double-digit growth a few years ago to contraction. However, despite concerns raised in the media, the Mongolian government said it will stay current on its debt obligations. The Ministry of Finance of Mongolia assured investors that the government will stay current on all its debt obligations and that the liquidity position of the Mongolian government is strong enough to fully repay the $580 million notes coming due on March 21, read a statement on the website of the Development Bank of Mongolia on January 20. The Mongolian government has no intention of embarking on any avenue that would be considered unfriendly by the international capital markets and talks with the IMF are continuing in a positive manner, and they are expected to be concluded soon, the statement said. Experts said China, Mongolia's largest trading partner, can play a positive role in helping the crisis-stricken country. As of the end of September 2016, Mongolia's overall debt stood at $23.78 billion, up 10 percent from a year earlier and exceeding 210 percent of its GDP, according to a statement posted on January 25 on the website of the economic and commercial counselor's office of the Chinese Embassy in Mongolia. The statement cited data from Mongolia's statistical authority and the central bank in the country. A slump in commodity prices, coupled with natural disasters in 2016, caused Mongolia's GDP in 2016 to contract 1.6 percent. Sun Huijun, an expert on relationships among China, Russia and Central Asian countries, told the Global Times Sunday that as China's neighbor is experiencing hardships, China can prove to be "a friend in need." 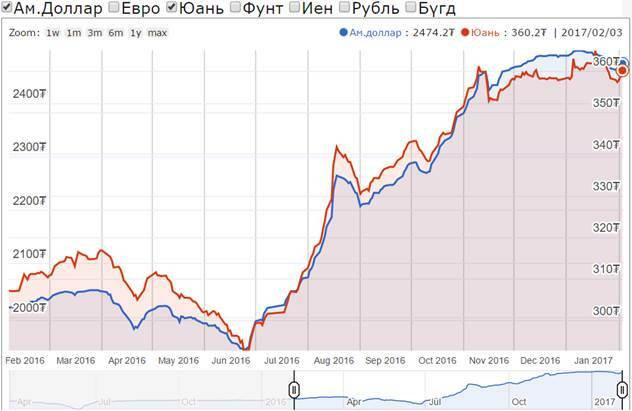 Mongolia's trade in 2016 totaled $8.27 billion, down 2.3 percent year-on-year, the same statement showed. Trade with China, which accounted for 60 percent of its total trade, declined 6.4 percent to $4.96 billion. Mongolian exports to China were down 0.2 percent year-on-year to $3.9 billion and imports sank 23.7 percent to $1.06 billion. "Under China's proposed 'One Belt and One Road' (B&R) initiative, there is an economic corridor starting from China, running through Mongolia and onward to Russia. This is a plan drawn up by the Chinese government, and much can be done under the framework," Li said. Formally called the Silk Road Economic Belt and the 21st Century Maritime Silk Road, the B&R initiative was proposed in 2013. The B&R initiative has many plans involving infrastructure and connectivity, and it can bring lots of money to Mongolia, Li told the Global Times Sunday. Sun said prosperous neighbors and partners also suit China's ambitions to push its B&R initiative, against the backdrop of likely uncertainties in world trade brought up by the Trump administration. Li said that $580 million liquidity is within easy reach for China, "but China has its principles that are non-negotiable." Li noted that the visit by the Dalai Lama to Mongolia last year hurt bilateral relations. The Mongolian foreign minister has said that the Dalai Lama would not be invited to Mongolia again, according to media reports in December 2016. Ulaanbaatar, February 6 (MONTSAME) On February 3, P.Sergelen, Minister of Food, Agriculture and Light Industry received Masato Takaoka, Ambassador Extraordinary and Plenipotentiary of Japan to Mongolia. After congratulating Masato Takaoka for his appointment as a Japanese Ambassador to Mongolia, P.Sergelen gave information on the present situation of the agricultural sector of Mongolia and development goals in the future. Then, he briefed about the history of agricultural cooperation between Mongolia and Japan and requested support from the Ambassador in favor of intensifying the bilateral agricultural collaboration in the future. Afterwards, the two sides praised the intensifying cooperation of the Mongolian Ministry of Food, Agriculture and Light Industry and Hokkaido and Shizuoka prefectures of Japan within the framework of the memorandum of mutual understanding on food and agricultural sectors' cooperation. Minister P.Sergelen and Ambassador Masato Takaoka agreed to develop partnership in the fields of diversifying the Mongolian economy relied on its mining industry, in particular, boosting animal husbandry activities - the main economic industry of the country and ensuring safety of food and animal products. The Minister of Agriculture mentioned that a Japanese-proposed "Mandakh' program within the framework of the midterm program for developing strategic partnership in 2017-2021 between Mongolia and Japan chiefly focused on the agricultural cooperation. He also expressed his willingness to carry-out projects and programs in areas of food and agriculture in the scope of the midterm program and the Economic Partnership Agreement and asked for the new Ambassador's request on those actions. In conclusion, he highlighted that "In the future, Mongolia is interested in working together with Japan on cooperation in directions of training workers of food, agriculture, light industry and veterinary medicine fields". February 6 (news.mn) On 3rd of February, P.Sergelen, Minister of Food, Agriculture and Light Industrial had a meeting with Russian Ambassador Iskander K.Azizov. At the meeting, the two sides agreed to cooperate on livestock health and to help create the conditions for young animals to be stronger so as to endure the harsh Mongolian conditions. The two sides also expressed interest in the light industrial sector. Japan, Czech Republic, Tunisia and Mongolia would be partner countries for the Global Investor Summit, Jharkhand which is expected to attract 2,500 delegates from across the globe, state Chief Minister Raghubar Das said today. February 6 (PTI) apan, Czech Republic, Tunisia and Mongolia would be partner countries for the Global Investor Summit, Jharkhand which is expected to attract 2,500 delegates from across the globe, state Chief Minister Raghubar Das said today. The two-day summit is scheduled to begin on February 16. Delegations from America, Russia, Australia, Singapore, China, Afghanistan and United Arab Emirates would be present at the programme, Das said adding 12 to 15 central ministers and 40 industrialists would grace the occasion. Claiming that the image of Jharkhand is changing in the country and abroad, the chief minister said development of the state depended on both agriculture of industrial development. Ulaanbaatar, February 6 (MONTSAME) A Mongolian delegation led by Minister of Labor and Social Welfare N.Nomtoibayar is attending the 55th Session of the Commission for Social Development of the UN Economic and Social Council, commenced on February 1, 2017 in New York. Minister N.Nomtoibayar gave address to the Meeting on Strategies for Eradicating Poverty to Achieve Sustainable Development Goals. Mentioning that Mongolia has set a goal eradicate all types of poverty, ensure ecological balance and sustainable economic growth and to achieve a middle-income country status by 2030, the Minister said that the Government Action Plan for 2016-2020 reflects tangible actions to accomplish the above objectives. For instance, the Parliament has passed the Law on National Development, and the cabinet has been attaching greater importance to the institutionalizing the youth development programs and investment and to ensuring sustainable growth. In frames of the 55th Session, General Debate and three sub-conferences under topics of eradicating poverty and sustainable development programs, youth development, poverty and disabilities will be held. Policies and programs on ensuring participation of children and youth in social development and the Resolution for Development of Africa will be adopted, and 50 other frameworks are being carried out. 55th Session of the Commission for Social Development will conclude on February 10. February 4 (Ministry of External Affairs, India) The Ministry of External Affairs and the Confederation of Indian Industries (CII) co-hosted the 'ASEM Workshop on Non-Invasive Technologies for Diagnostics & Treatment of Diabetes as a Lifestyle Disease' at the Pragati Maidan, New Delhi today as part of Health Tech India Event being organised in the 22nd International Engineering and Technology Fair..
Mr Chandrajit Banerjee, Director General, CII, in his opening address, highlighted that the inclusion of healthcare in the ASEM agenda would go a long way in addressing the health related problems in the region wherein Diabetes and other Non-Communicable Diseases have great potential in hindering the growth pathways of economy in a significant manner. In his address, Mr Gonchig Ganbolo, Ambassador of Mongolia to India, flagged diabetes related problems in his country and sought Indian investments in the social sectors including setting up of hospitals in that country. A number of dignitaries attended the event, notably, H.E. Ms. Byambasuren Lamjav, the Vice Minister for Health, Mongolia. The event was attended by more than 100 participants with many of them being foreign participants from ASEM countries. Ulaanbaatar, February 2, 2017 – The U.S. Embassy in Ulaanbaatar is pleased to announce a new exchange program now open to Mongolian high school students. The Future Leaders Exchange Program (FLEX) is an educational exchange program, sponsored by the U.S. Department of State, which provides scholarships for high school students to spend an academic year in the United States. For the first year of this new program, 9-10 students will be identified in the spring to begin their exchange program in the United States in fall 2017. Details on application procedures will be available in late February. As United States Ambassador Jennifer Zimdahl Galt noted in her remarks celebrating the 30th anniversary of U.S.-Mongolian diplomatic relations on January 27, "I am pleased to announce that beginning later this year Mongolia will join the Future Leaders Exchange (FLEX) Program, which brings top high school students from many countries to the United States for a year of study at U.S. high schools. We are thrilled to add Mongolia to this program during this 30th anniversary year." (Public Domain Review) -- In 2001, the National Library of Medicine (NLM) launched Turning the Pages, a resource providing interactive access to a range of rare books, manuscripts, and documents from the historical collections of the NLM on its website, via iPad App, and in onsite kiosks. To date, the project has offered the public access to a wide range of early printed books and manuscripts that span centuries, cover topics from surgery and anatomy to botany and horse veterinary medicine, and originate from places as diverse as Iran, Japan, Egypt, Italy, and now Mongolia. In November 2014, the NLM added a Mongolian manuscript entitled Manual of Astrology and Divination. This colorfully illustrated handwritten book is part of a collection at NLM of about fifty manuscripts from Mongolia, many of them dealing with astrology, astronomy, and divination from a Buddhist perspective. Prominent among the subjects divined about are health and wellness. This particular manuscript is full of charts and diagrams that astrologers, generally Buddhist monks, would use to calculate auspicious times to do certain things, such as depart on a trip or remove a dead body from a dwelling. The text itself is in Tibetan, which was the liturgical language of Mongolian Buddhism. Similar to Tibetan traditional books, this manuscript consists of unbound, oblong leaves of paper written on both sides. Also following tradition, the book is wrapped in a silk cloth with strings tying it up into a tight bundle. The hand-made paper was likely imported, the inks and dyes used for the manuscript were most likely hand-made locally, and it was probably copied by a professional monk-scribe. While it was copied sometime in the 1800s, the information in the text is likely to be many centuries old. Most Mongolians are followers of Buddhism, a religion which originated in India and came to Central Asia via the Silk Road in the 3rd century CE and from Tibet and China during the era of the Mongolian Emperor of the Yuan dynasty, Kublai Khan in the 13th century. Because of this, Mongolian astronomy and divination were heavily influenced by Indian, Tibetan, and Chinese traditions. The many colorful charts in this manuscript were based on astrological texts imported to Mongolia from Tibet in the late 1700s. Much of this philosophy was laid down and taught in Tibet and Mongolia by Sumpa Khenpo Yeshe Peljor (1703–1788), a Mongol Buddhist monk and master of both astrology and medicine from Amdo, one of the traditional regions of Northern Tibet near modern-day Mongolia. In 1789 a school for the study and practice of astrology based on his teachings was established in Urga, modern-day Ulan Bator, which is today the capital of Mongolia. Many of the charts in the manuscript used for making calculations may not appear to Westerners to be charts at all. The leaf pictured above contains charts in the form of a man's body (far left) and a glaring face with its mouth open (far right). The numbers written in cursive on the human chart on the left ('khor lo) are used to calculate the movements of Saturn (spen pa). According to old European medical astrology Saturn affected the spleen, whereas in Indian astrology, Saturn rules the knees and legs. This chart places Saturn at the center of the male body to suggest the planet's influence on bones, ribs, nerves, and possession of male energy. The chart on the right resembling a face is used to calculate Rahu, which corresponds to the solar eclipse. Garuda, a mythical half-man/half-bird figure, is also depicted on the page, to represent the force and power energies that are at play in the accompanying charts. The charts on this leaf, pictured above, refer to a text used for the calculation of the stellar constellations (skar ma) and corresponding fluctuations in Naga or serpentine energy. In the tables, the 28 lunar mansions, or segments of the lunar ecliptic, are each given by name. Nagas are powerful spirits of the underworld that take the form of snakes (sprul) and half-snake/half-human creatures (klu). Naga energy has an important effect on human health, wealth, and weather, and this kind of divination chart is used to determine Naga offerings and practices. The selection of images and curatorial text for the manuscript's appearance in the Turning the Pages project were carried out by Dr. Uranchimeg "Orna" Tsultem, a native of Mongolia. Dr. Tsultem holds a PhD in Art History from the University of California at Berkeley, where she has served as a lecturer on the Art of Mongolia and Tibet. She has curated a number of exhibitions on Mongolian art internationally, including in Hong Kong, Shanghai, New York, and Bonn, Germany. She currently holds a faculty position as an Associate Professor at the National University of Mongolia, and is working on several research projects, which include contemporary women's art; she is also writing a book on Mongolian Buddhist art. The interactive project is viewable on two kiosks at the National Library of Medicine, on the Library's website, and now also in the Turning the Pages App for iPad available for free. For more information about NLM's collections relating to Mongolia or to the Turning the Pages project, please contact us at hmdref@mail.nlm.nih.gov. To learn more about the Turning the Pages project visit the website. To browse more of the National Library of Medicine's wonderful pool of public domain material visit their Digital Collections section. We also highly recommend checking out their excellent Circulating Now blog, from which this piece from Michael North was adapted. This post is part of our Curator's Choice series, a monthly feature consisting of a guest article from a curator about a work or group of works in one of their "open" digital collections. The series is undertaken in partnership with OpenGLAM and made possible through funding from the European Union's DM2E project. January 27 (British Red Cross Blog) The people of Mongolia will soon welcome in the year of the rooster. At the same time, the year of the monkey will draw to a close. Temperatures during winter – the end of the year, or the monkey's tail in the legend – can fall as low as -40 degrees Celsius. This is especially difficult because over a quarter of Mongolians are herders. Animals are people's livelihoods, food and an important part of their culture. But in dzud conditions, livestock cannot reach grass buried under ice and snow. Since a summer drought can be part of some dzuds, hay harvests may be too meagre to cover animals' winter needs. But with climate change, dzuds seem to be happening more often: there have been 12 in 23 years. In one of the worst dzuds in 2010, a quarter of Mongolia's livestock died. In November, the Red Cross' new project in Mongolia started helping herder families survive dzuds and improve their lives. We'll help herder groups to share the knowledge they have built up about how to cope in good times and in bad. In the past, many families lost their herds because they couldn't pay back high-interest loans they had taken from money lenders. Now, we will also help people get secure, low-cost loans if needed. This will build on our support during last year's dzud, when cash support helped 3,500 herder families in 17 provinces to keep going. Would you share your living room with goats and sheep? Find out why thousands of Mongolian families do. MYSURU, February 6 (Times of India): Even as winter season is through, birds from Mongolia have winged into the water body at Hadinaru Lake on the Mysuru-Nanjangud border. The bar headed goose has arrived in large numbers, cheering bird lovers and giving a strong indication that water bodies in Mysuru region are healthy. The sprawling lake, which is around 25km from Mysuru city, is located near the perennial Kabini river in Nanjangud and has turned into a birdwatchers' pilgrimage centre. More than 2,500 bar headed geese were found in the lake. Every year, migratory birds which are one of the world's highest flying birds across the Himalayas, travel around 4,850km to reach Hadinaru Lake during the winter. As the days are shorter and nights longer during winter in the northern hemisphere, migratory birds find it difficult to find food in this short period in the brief days, and migrate to India by crossing the mountains. Mysore Amateur Naturalists (MAN) association convener Manu told TOI that migratory birds which arrive in January or February nest here for around four months before they return to their homes up north. "The birds only feed only on paddy grains, which are abundantly found in the area, especially as these birds arrive in the post-harvest season. They rest in the mornings and feed on grains in the fields during nights, so their droppings are good manure for the crops. The birds are friends of farmers. The situation is not similar in North India as migratory birds arrive in the pre-harvest season, and there have been instances of farmers killing or driving away birds to prevent them from destroying their standing crops," he said. Manu said that like Hadinaru Lake in Mysuru, migratory birds used to visit Magadi Tank in Gadag. But as the lake is fast drying up, more of these birds are flying towards Mysuru and Kagallipura in Chamarajanagar district to feed. "The birds fly back home to breed," he said. Hadinaru Lake in Mysuru is around 25km from the city and can be reached from the Mysuru-Nanjangud Road deviating near Thandavapura Industrial Area, or from Mysuru-Utanahalli Road towards Hadinaru Road. Apart from migratory birds like the bar headed goose, birds like the Little Grebe, Cotton Pygmy Goose, Breasted Kingfisher, Purple Moorhen, Night Heron, Small Kingfisher, Greater Cormorant, Large and Little Egret, Common Coot, Spot Billed Duck, Painted Stork, Black Ibis, River Tern and others can be found. Ulaanbaatar, February 6 /MONTSAME/ Mongolian ice-skating record was renewed by A.Zul, who came in the 28th place in 500 meter race of Universaide 2017, being held in Almaty, Kazakhstan. She finished two races within 42.62 and 42.86 seconds, in total 85.481. The previous record was set by International Master of Sports B.Sumiya, who traversed a couple of 500 meter races within 86.290 seconds at the 2016 Winter Youth Olympics, held last February in Norway. February 7 (CyclingTips) Cycling can take you to amazing places and open doors to meeting incredible people. I'm from Melbourne yet today I'm on a bus heading to the outskirts of Mongolia's capital, Ulaanbaatar. It's a training day, so I'm carrying my cycling kit, pedals and a spare battery charger in case the cold weather causes my phone battery to freeze and die again. I'm on a bus rather than a bike because outside it's a cool minus 26 degrees Celsius and the roads are slick with ice. I pass through suburbs of gers—traditional Mongolian felt houses similar to Russian yurts. Smoke rising from their roofs settles in a thick blanket across the city. The coal grit sticks in your teeth. This is the world's coldest capital city, and one of the most polluted. My bus stops outside a brick shed on the side of a hill. It's an unlikely place for an Aussie cyclist to find herself, and an equally unlikely training headquarters for a national sports team. Inside that shed, however, are some seriously tough young women getting ready for the day's training session. It is the home of the Mongolian Junior Women's Cycling Team. It's also quite literally the home of Coach Yanjingiin Baatar, who has converted his shed into a training facility. A former Olympic cyclist, Baatar raced in the Tokyo Summer Olympics in 1964, and has dedicated his life to training young riders. Baatar has been coaching women since the 1970s when Mongolia was still a communist state and the national cycling team was part of the armed forces. He has long since retired from the army, but not from coaching. And these days his focus is on elite junior women, the future of Mongolia's bike racing. Although cycling is growing in popularity in Mongolia, there are significant barriers to getting new riders involved. The open steppes might be a mountain biker's dream, but road conditions are not good, city traffic is chaotic and red lights are treated as meaning 'give way, maybe'. Outside the city, roads deteriorate into potholed obstacle courses. The summer is short and winter is extreme. Year-round training for competitive road cycling in Mongolia requires extraordinary dedication. The seven girls on the junior women's team have that dedication. They are all teenagers with the youngest among them barely 14 years old. They juggle high school, university and family commitments while putting in long hours on the bike six days a week. They are their own bike mechanics, and they train for both road and mountain bike racing. Assistant coach Orhontuya Batbaatar, who rides alongside the team, acknowledges that the time commitment the girls make is huge, but she says they do it to be the best they can be, because they really want to ride for their country. When I started training with the girls it was still summer. We made the most of blue sky days and snow-free roads, heading to quieter areas north of the city. Our training diet consisted of hill repeats and motor pacing. We climbed up and down an unsealed hill, ignoring catcalls from road workers who didn't appear to be much interested in actually sealing the road. Other days we motorpaced behind Coach Baatar's SUV, aiming to spend as much time as possible grating our front tires against his rear bumper bar. I found it unnerving yet the girls seemed relaxed. Towards the end of the summer, temperatures started dropping well below zero. I layered up clothes, piled on the gloves, but still the cold gets in. While the team seems unfazed by these conditions, there are days when I get home in tears because reheating my fingers and toes hurts so much. One day I discovered that there was no feeling in my thumb— my first frostbite experience, resulting in layers of lost skin. When I asked Batbaatar where she got her gloves, I expected the answer to be some mountaineering brand exclusive to Everest climbers and Mongolian cyclists. She revealed, however, that she buys them at the black market —the place for cheap clothes— and I shook my head in disbelief, wondering how I'm going to survive the winter. Life became infinitely better when the volume of snow on the roads meant it was time to train mostly indoors. Somehow, two+ hours on an indoor trainer staring at the paint on the walls now seems like a blessing. The indoor training facilities are novel, all crammed into a very small space. Besides two smart trainers, all the exercise equipment has been made by Coach Baatar himself. He has welded together whatever scrap metal he could find. The team trains on rollers he made. They do strength training on an unconventional leg-press machine lying on a wooden platform pushing metal plates in the air. They do sprint training on what I have christened the 'Mad Max' machine. This consists of three bike frames welded together with a motor attached to the chains that forces the rider to turn their legs over at above 146 rpm. The first ride was hell, and I walked like a horseman for days. The second ride was almost as bad. The girls comforted me, telling me it gets better, and they were right. It does get better. Eventually. The greatest difficulty the team face is funding. The Mongolian economy is in decline. An estimated 28 % of the population lives below the poverty line, and the average annual income is under AU$6,000. This makes the purchase of even an entry- level carbon road bike a significant investment. No one on the team rides a carbon frame. They use their brakes to the limits, ride their tyres down to thread, and time trial equipment is out of the question. One day after training, the talk turned to the cost of bikes in Australia. 'How much are they?' I was asked. 'How often do people buy new ones?' I felt embarrassed to talk about what I paid for my beloved Malvern Star Oppy. It's a fairly humble bike in the peloton at home, but here it sounds extravagant. A young rider named Bayanjargal dreamily told me she'd love to race on a carbon road bike. "It doesn't have to be new," she said. Forget the designer kit, the GPS' and power meters and cadence monitors and everything else we seem to 'need' in Australia, a second-hand road bike would make her incredibly happy. The funding difficulties are further highlighted when a trip to compete in the Granfondo Yunnan in China falls through the day before the event because there is insufficient money to cover the cost of travel. I felt outraged for the girls. They were disappointed yet philosophical. Maybe there was some soul searching, some wondering what all their hard work is for, but the next day they were back on the bikes working as hard as ever. Their dreams stay big. In 2017 they hope to send two riders to the Asian Road Cycling Championships in Bahrain. Longer term, their goal is to compete at the 2020 Tokyo Olympics. But in the short term it's back on the bikes for a month-long training camp in the Gobi Desert where it will reach a relatively balmy top of minus five degrees on some days. For my part, I will never, ever complain about Melbourne winter cycling again. Kate Scarlett is an Australian cyclist and travel blogger currently volunteering and living in Mongolia, where she's been training alongside the Mongolian junior women's cycling team. Ulaanbaatar, February 6 (MONTSAME) President Ts.Elbegdorj received national bandy team who won a bronze medal from World Bandy Championships on February 3, Friday to commend their success. The team won Mongolia's first medal in team sport from a world championship in adult category. The players expressed during the meeting that the first outcome of Mongolian President's decree to promote team sport has thus been achieved on the ice field. Despite of financial difficulties, the team put all their efforts into winning. President Ts.Elbegdorj said, "I am meeting you today to congratulate your success. Team sport must develop in Mongolia, and Government must support it". "It was a great news for Mongolians when reports surfaced that national bandy team had won a bronze medal. I think, this example set by your team will help people pay attention to team sport, and will call for young aspiring athletes to double their efforts". The President wished the team best of luck in their upcoming competition. At the end of the meeting, the athletes presented the President a hockey jersey and racket. It was revealed by A.Mergen, coach of Mongolian national bandy and hockey team that the bronze-medal winning team left Mongolia by road to participate in the championships due to financial difficulties. Mongolian bandy team of 23 people traveled more than 1000 km distance by cars to Russian city Irkutsk from where they took a flight to Sweden where the championships took place on January 24-29. Fortunately, their adventurous journey resulted in the triumph of attaining a historic success for Mongolian team sport scene. Ulaanbaatar, February 6 /MOTSAME/ "Asia's Got Talent 2015" show's runner-up, Mongolian traditional folk music band "Khusugtun" is undertaking their "KHUSUGTUN TEAM AT WORLD STAGE 2017" tour concert in nine cities of the U.S and Canada starting from March 3. The internationally recognized band is renowned for their a-capella arrangements using "Khoomei" or "throat-singing", which is an UNESCO Intangible Cultural Heritage of Humanity from Mongolia. Consisting of six members, the band also performs horsehead fiddle, zither, flute, lute, open-ended flute and various jaw harps. The band will perform on professional stages and famous museums such as the UN headquarters in New-York, "Rubin Museum" and Chicago theaters to promote Mongolian traditional folk music to the world. The concert is being initiated and organized by the internet cinema MIYE, the advertiser of Mongolian-made film contents. The concert is being supported by the Ministry of Foreign Affairs, Embassy of Mongolia in Washington D.C and Ottawa and John Fusco, the creator of the Netflix film "Marco Polo". The tour is scheduled in the following cities from March 3 to 26. After their concerts in U.S and Canada, the band will perform in Tokyo Nikkei Hall, Japan on April 12 and Rumi Festival in Pakistan on May 10. February 6 (gogo.mn) Ulaanbaatar International Jazz Series 2016-2017 is presenting its third concert named "The art of piano" with the Catalan jazz pianist Ignasi Terraza, who is blind from the age of 10. The concert will be held at Mongolian State Academic Theatre of Opera and Ballet on Feb 9th at 7.30pm. Tickets are now available at the ticket office of Mongolian State Academic Theatre of Opera and Ballet and www.ticket.mn for 40,000 MNT and 50,000 MNT, depending on seating locations. Guest artists are bass guitarist Martin Zenker from Germany and drummer B.Khuslen from Mongolia. Ulaanbaatar, February 6 (MONTSAME) G.Mend-Ooyo, Mongolian writer and poet was invited as a guest to the "Ritratti di Poesia" international poetry festival held at the St. Adrian Church in Rome, Italy. At the festival, he read one of his own poetry to the audience by his native language Mongolian, which was consequently translated into Italian. Ts.Jambaldorj, Ambassador Extraordinary and Plenipotentiary of Mongolia to Italy watched the festival and paid his respect to the acclaimed poet G.Mend-Ooyo. G.Mend-Ooyo has published more than 40 books, poetry, essays and fiction works. Not only have Mend-Ooyo's works been translated into more than forty languages, his support and engagement in the preservation of Mongolian history, culture and ecology has made him one of the most prominent figures in Mongolia today. He is a founder of the Mongolian Arts Council and "GUNU" magazine. He is one of the principal figures in Mongolia involved in the revival of traditional script culture, artistic techniques, as well as the study and protection of cultural heritage. February 6 (news.mn) A Mongolian film entitled "Eleg Negten" (The Third Eye of God) has won the Best Direction Award as a foreign film at the Navi Mumbai International Film Festival (NMIFF). The "Third Eye of God" was directed by Sh.Dorjsuren, director of Doz Plus Entertainment. The film's leading actress, A.Mungunzul, said in her Facebook post: "Our film has become one of the seven awardees out of total 500 films nominated in the festival". In all, 503 films from 45 countries, contested for seven nominations at the NMIFF. The Third Eye of God was also awarded back in November 2015 at the Noida International Film Festival in New Delhi. The Eagle Huntress: a documentary too good to be true? February 3 (FT) It's a quiet day in a small hotel in London's West End. Or it was. But soon after Otto Bell, maker of the prizewinning documentary The Eagle Huntress, has stopped talking about the first scene they shot — in which the 13-year-old Mongolian girl of the title steals a young eagle from its mountainside nest while the mother hovers menacingly overhead — a terrible screaming noise breaks out. It sounds like a parent eagle going berserk. It's actually a fire alarm trial. We both freeze; then burst into giggles. So the east does have a far reach: Otto Bell, the fair and chubby-faced 35-year-old from Northumberland, UK, who thought he had escaped unscathed from Asia after stealing priceless bird footage, was — I improvise the newspaper report — "today savaged by forces unknown in a boutique Soho hotel". Fat chance. Instead Bell has been savaged by festival awards and a Bafta nomination. He didn't get an expected Oscar nomination; perhaps because adoration has to stop at some point, and/or because a few media folk have meanly but determinedly questioned the authenticity of the movie. The portrait of the heroine as a pioneer female eagle huntress in a patriarchal society: is that strictly accurate? Even Bell doubles back a bit when I ask, saying, "There have been eagle huntresses in the past." And, some claim, in the not-too-recent past. Reuters reported in 2012 on Makpal Abdrazakova, aged 25, an eagle huntress who claimed the full blessing of her elders. As a project, The Eagle Huntress began by purest chance. Bell saw some photos of Aisholpan Nurgaiv, his protagonist, shot by an Israeli photographer, Asher Svidensky. "He was going walkabout in the Altai Mountains after military service. He had taken pictures of older teenage boys training to eagle-hunt" — that's using an eagle to hunt, mainly wild foxes — "which didn't impress him. Then he found Aisholplan training with her dad and was struck by how she handled, almost cuddled, the eagle. The BBC picked up the photos. And I thought, that'd make a great documentary." With cameras and crew he flew to Mongolia and on the first day of entering the family ger (or yurt), "they said: 'We're going to capture an eagle, do you want to come?' I'd arrived nervous they wouldn't want film at all. And we went straight out and captured our first scene!" There were repeat filming visits to Mongolia, but conditions became unfriendlier. Bell, a first-time film-maker, had spent his worldly wealth on equipment and excess-baggage costs: 600kg of gear. Could he even use it? "It was minus-50 in the mornings whenever we set out. You had to wait till the sun came up for the machinery to come to life. We did three to four hours of filming, then the sun dropped behind the mountains." They improvised tracking shots using an old Russian van with a roped-open door. They busked high-angle shots with a spindly homemade crane. They attached a camera to the eagle, using the harness worn by rescue dogs when they sniff through war ruins. Managing the impossible seemed to open the door to the "impossible" happening in their very own story. Aisholpan won her first eagle-hunting festival. This was an event slightly less likely than Leicester City winning the football Premiership or Donald Trump becoming leader of the free world. Did they sweeten the jurors, I ask Bell? Did his film unit's very presence pressure them to reward the girl? Isn't this all too good to be true? "No. It happened! Our film unit consisted of three people. I was in tears when she won. But her victory couldn't be disputed. In the main category" — calling the eagle to swoop to her arm from mountainside to valley — "Aisholpan did it in five seconds. Even her father, a three-time champion who had trained her, had only recorded 11 seconds. They had to give her the prize." The local elders were aghast. They had been aghast about the girl, the film shows, even before she won. This makes me raise the email correspondence I'd had with Bell, who wrote to correct my reviewing speculation that the film's neatest montage sequence — in which patriarchs take turns to berate the girl's arrogance and presumption in attempting a male-prerogative sport — might have been "staged". "I'm old enough to accept," he wrote, "that when you put something out into the world you need to be prepared for all the rumours and slights and criticisms that are now a fact of life in the age of social media." Now he explains to me: "I edited it in my head while we were there. But I actually went round knocking on doors." (Gers do have doors.) "And each of these elders would sit on his throne, in his furs, and answer my long list of questions, and at the end I'd say, 'Has there ever been a female eagle hunter?' And their first response was always, 'Jok, jok, jok.' In Kazakh, 'No, no, no'. It was a pattern. So I thought I'd montage these." When "no, no, no" turned into "yes, yes, yes" and Aisholpan won, the elders "tried to make excuses. 'Oh, she had her dad to train her.' 'Oh, it's a fluke, she'll never do it again.' "
Perhaps not, but she has started a trend. "This year three females are competing." (Apparently, one assiduous reporter found out, three females also competed in 2015.) And Aisholpan hardly needs to win again anyway. She's world-famous. She and her family have been to "Sundance, Telluride Film Festival, New York, Los Angeles". Bell shows me pictures of her stepping into the Pacific in Santa Monica: "It was the first time she had seen the sea." With Soho seconds ticking away, I tap him for his own life story. Born to a Northumberland farming family, he moved away from sheep and cows to study English literature at university and then worked for a commercials firm. He now lives in New York. He funds his own films; but when The Eagle Huntress threatened to run away with his fortune, he got US documentary-maker Morgan Spurlock (of Super Size Me fame) to help out. As I put away my recorder I ask him, "How does someone from a Northumberland farming family get to have the name Otto?" "Oh, my great-grandfather spoke German and during the war, when Lord Haw-Haw [the second world war traitor] was broadcasting Nazi radio propaganda to Britain, my great-grandfather used a ham radio to broadcast Allied propaganda back in German. The code name he used was Otto." That's the trouble with gifted documentary-makers. They've got stories wherever you look. Stories that audiences will love, some media folk will question, and only time will prove true, untrue, partly true or mostly true. February 3 (The Hollywood Reporter) Otto Bell's film almost didn't get made but a cheeky email to Morgan Spurlock saved the day (and helped land him a 'Star Wars' star). Out of a stellar crop of documentaries to have emerged in 2016, one – from a first time filmmaker – stood out more than most, not just for its astonishing visuals, but because of the hugely ambitious nature of the project. In The Eagle Huntress, U.S.-based British director Otto Bell tells the remarkable story of Aisholpan, a 13-year-old nomadic Kazakh girl from Mongolia – "the most remote part of the least populated country in the world" – as she trains to become the first female eagle hunter, following in the footsteps of her family while also battling a society where the activity has previously been an exclusive male tradition. The film, which boasts Morgan Spurlock and Daisy Ridley as exec producers and also sees Ridley lend her narration talents, proved to be a hit in the box office, with an incredible domestic haul of $2.8 million (beaten only by Ron Howard's Beatles doc last year). It also earned a BAFTA nomination and made the Oscar shortlist (but narrowly missed out on the final five). Speaking to The Hollywood Reporter, Bell discusses making Ridley cry, coming close to bankruptcy as the film swallowed up his life savings, and his cheeky – near life-saving – email to Morgan Spurlock. Where did the story first come from? I saw some photographs on the BBC on a website. A young Israeli photographer had stumbled upon Aisholpan – he was walking about the Altae mountains of Mongolia. The people out there are all nomadic herdsman. You can go for days without seeing another human soul. But she was training with her dad's eagle and he took some photographs and those were pulled down off the wire by BBC journalist called Will Kramer. I was lucky enough to see them the day that they came out, so I wrote to the photographer and we had a quick Skype and a couple of weeks later we flew to Mongolia to meet the family. The first afternoon of filming, we filmed her taking the bird out of the nest. That was the very first afternoon! And that became the first act. We didn't have a budget, so I was making the film with my life savings, which wasn't very much money. We made it for about $80,000 in the end. I actually took a high interest loan out from a bank here in America, and I've never been in debt before. So that was very scary. But things kept happening to Aisholpan, so we had to keep going back to film various stages in her coming of age. There were definite moments of depression, but not when we were out there filming, that was great. We kept getting this wonderful, wonderful coverage. How and when did you get Morgan Spurlock involved? We'd come back from the Golden Eagle Festival and I knew I had to get back out there to film the final act. But by that point I was properly in debt. It wasn't that I was out of money, I owed money. So I cut together the first 10 minutes and a friend gave me Morgan Spurlock's email address. He was the biggest name I knew in documentaries. So I cheekily sent him the first 10 minutes on a link. And, thank god, he opened it and wrote back that afternoon and said, "I've never seen anything like this, come to my office, explain to me how I can help you finish this." And the clouds parted – he found me a place to edit, he found me financing. And that's when we were able to go back and film the final act, which I thought would take us 5 days but we ended up being out there for 22. What were the logistical issues of the shoot? Well, it was -50C (-58F) when we got there – absolutely brutal. Nothing works at -50C. Your hands stick to metal, it's like being underwater. Everything takes four times as long. The animals don't want to do anything twice. But we figured out that if the sun comes over the mountains it warms up to about -20C/-25C (-4F/-14F) — nice and cosy—which is when the equipment comes back to life. Basically you can film for about 4 hours. And how did you land Daisy Ridley for her first film after Star Wars: The Force Awakens? It was the night before Sundance, and we didn't land her – she came to us! This is one of the benefits of working with Morgan. He's got a great sales team at CAA who we were using, and they've got Daisy as a client as well. Her agent had sent her the film as a link, not with an agenda, just because she thought she'd like it. And Daisy watched it, cried, called her mother and then called me at Sundance and said the same as Morgan: "I've never seen anything like this, how can I help you, I want to make sure that more people see this film." We said we'd love to have her as an exec producer or something, but as she talked more, I was really impressed – she was picking out corners of the film that I thought I only knew about, she was really sharp about the structure. So I said, how about if we added a bit of narration, because on the Sundance version we had cards. I'd love you just to read those. And she's been great – she's been more than a name on the poster. I think she's lowered the age of entry for the film. I think now if you're a 10 or 11 year old girl or boy, you can keep up with it. Because otherwise there's a lot of subtitles. Given its success, have your life savings been replenished? I'm happy to say that I was able to buy a ring and am marrying my fiancé, who stood by me through all this. She's from Michigan but I'm bringing her back to the UK to get married in July. I'm very grateful to Sony Pictures Classics and Altitude! Thank you for taking the time to provide us valuable information.